Concentrate Trident The Fabulous. To make you shiver we have created an aroma linked to powerful crystals, the attack of Eucalyptus and the softness of Green Mint. The added secret ingredient will please amateurs of new sensations. This French Concentrate is to be mixed with a Base in PG/VG. Dosage from around 15% in a Base - 50/50 in PG/VG. Made in France by The Fabulous. 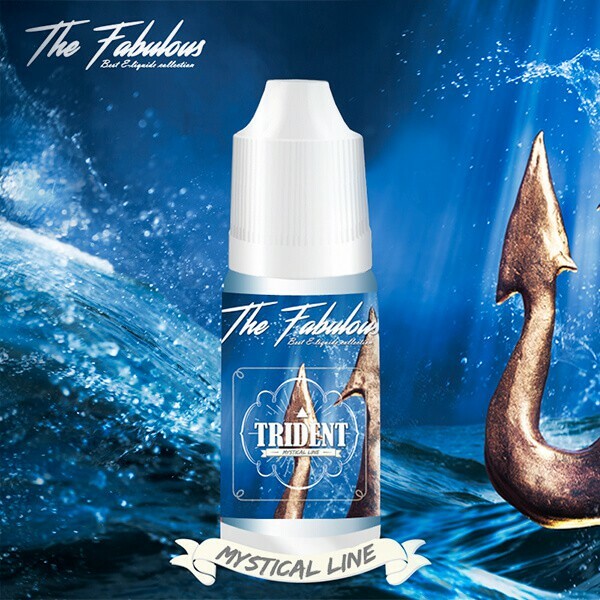 The Fabulous is a brand 100% French, concentrates for DIY E-liquids. Local fabrication with a choice of Natural or Artificial Aromas, originated from France or America. Pas encore testé.....je vape pas 1/2 litre par semaine...!